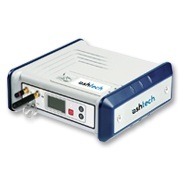 The Ashtech MB800 GNSS Centric Board supports multiple constellations as well as multiple frequencies. It is capable of increasing the availability of RTK and the reliability of the data. The embedded Z-Blade GNSS centric technology allows the MB800 to deliver highly accurate surveying and positioning solutions by utilizing multiple GNSS constellations. With the Z-Blade technology, the available GNSS signals are being used equally to deliver stable and fast solutions. The MB800 offers enhanced multipath mitigation to reduce interferences caused by multipath, which are interferences that occur when signals are being reflected off surfaces such as trees, windows of buildings or the ground. Furthermore, the MB800 board is compatible with the MB500. 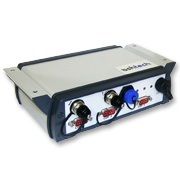 It supports a wide range of data formats and output messages, allowing it to work with many existing systems. 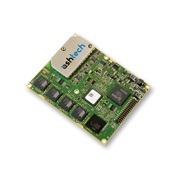 The Ashtech MB800 GNSS Centric Board is available through Blue Planet Geomatics. Please use the Request Pricing form to contact us for further information.